Due to recent events and real life things, for the time being, I will not be making significant updates or improvements to my addons. I will attempt to continue to provide maintenance level fixes but be aware that they may not come quickly. Thank you! Have you ever been in a situation where you need more skill points but you have no idea where to get them? Well today is your lucky day! Urich's Skill Point Finder provides a graphical interface showing all of the skill points you have (and haven't) earned throughout the entire game. You can show or hide the window by binding a hotkey or by entering the slash command. Slash command information is below. Localization for German, French, and Japanese is included in version 4.0.0. I speak only English so I am very sorry if a translation is incorrect. My only available source was Google Translate. Please message me if you see a translation that can be improved or shortened where space is an issue. Also feel free to provide a complete translation for another language if you would like to see it added to a future update. /uspf - Show or hide the USPF window. /uspf help - Display help information in the chat window. There was reportedly some issue in the past with public dungeon group boss events not properly awarding skill points upon completion. This may result in the USPF UI showing more skill points than you actually have. If this is the case for you, it means that you were shorted a skill point by the game. The Folium Discognitum is a scroll that awards two skill points on use. Because the Folium is a scroll and not a book, it is not possible to determine if if you have earned those points besides comparing the number of earned skill points with the number of expected skill points + 2. There is an override in the settings menu if this information is not correct for your character. There are skill points awarded upon completion of "Broken Bonds" and "The Mind Trap" for Morrowind and Summerset characters respectively. There are override options in the settings menu for these skill points if this information is not correct for your character. 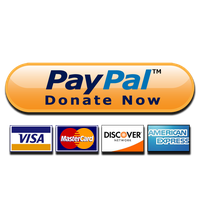 Do you like this addon and wish to make a donation? Check the donation page or send donations to @fritzOSU03 on the PC-NA server. Japanese language updates. Thanks Marify! Workaround for the 4.3.7 ZOS API bug in SkillsDataManager.lua (GetCraftingSkillLineIndices(tradeskillType)). Wrathstone dungeon zone location bug fix. Added checks for missing entries on un-logged characters. Bugfix for Alik'r Desert zone quest checks. Added additional color options for points with progression. Added multi-server character save support. Non-NA Megaserver users' data will be reset. Minor bugfixes to resolve some lag spike issues. Name change fix for The Lion's Den. Minor fixes for Psijic Order passive and override functions. Adjustment for ZOS' undocumented Summerset quest line skill points change. Psijiic Order given point deduction. Morrowind and Summerset intro quest point overrides. Localization support (de, fr, jp). Racial passive duplicates bug fix. Corrected a missing library issue. QuestID fix for Crypt of Hearts I. Implemented a complete setup for color, font, and sorting options by section. Implemented settings menu and saved variables functionality. Complete restructure of the addon for efficiency and data collection. Converted the visual elements to virtual containers to allow for easier expansion. Redesigned the data structures to better utilize LUA tables. Converted all of the functions to use quest IDs and achievement IDs for better language support. Font change in the GUI. Added a close button to the window. hey Urich so at least after Elsweyr you can add wailing prison skyshard to the list in addon UI? Added a new achievement for collecting the Skyshard in the Wailing Prison (the first part of the Main Quest). If you already completed this quest and have the Skyshard, the achievement will be given automatically. My skillpoint finder is showing i have 2 storyline skill points in vardenfell, but I've done all of the main story quests. Is there something I am missing? It seems that the skyshard you get in the wailing prison is not counted in the addon but is counted in the game. Also, the total counts at the bottom of the skyshard column states 2/143 at this point in time for my character but I have collected 5/18 skyshards in summerset. Thanks x2. I'll look into getting a fix pushed live. I can confirm the following changes fixes the error occurring for me. You'll want to replace the two original lines with everything that is in the second code snippet, inserting the new lines above just as it's shown. Notice how the last two lines of the new snippet look very similar to the two original lines being replaced but with a slightly different name. That new name is calling the function being added just above. where do the second set of code lines go? Insert? Or replace? OK....I can't read....I understand now. Replace the 2 lines with the many...duh!! Haha, that may be true but it won't help the fact that the original replacement code I posted will actually break the addon completely. My bad. It's correct now if you want to check it. I'm waiting for a second confirmation before I click the "push update" button. Edit: Corrected syntax from prior post. Last edited by fritzOSU03 : 03/11/19 at 09:59 AM. If you'd like to try a fix, try replacing lines 700-701 in USPF.lua below with the new piece below that and let me know if it takes care of the issue. Let me know if this fixes it for you and I'll push an update for it that bypasses their bug. Last edited by vgabor : 03/11/19 at 09:41 AM. TANSTAAFL - And freedom is NEVER free. Last edited by Seeker3010 : 03/11/19 at 09:47 AM. Thanks for letting me know about it. This bug stems from a bad function call that ZOS made inside their update this morning. ZOS made a bad function call inside of the GetCraftingSkillLineIndices function that's causing the problem which is why the stack trace is showing you that the problem originates in SkillsDataManager.lua. This new bug is likely to happen in any addon that looks at the crafting skill lines. ...with all of these lines. --Temporary fix for ZOS' 4.3.7 bug. The addon doesn't work with new patch. Last edited by fritzOSU03 : 03/11/19 at 09:48 AM. Last edited by wrtsdf : 03/11/19 at 06:06 AM. Thanks for the update. Minor bug: On lines 566/567, you have AD5 instead of GC for DoM's zone and AD3 instead of EP4 for Frostvault. Confirmed and updated. Thank you! Last edited by code65536 : 03/05/19 at 08:31 AM. Please click below if you'd like to make a contribution. Thank you!